You meet a very few people who are an authority on the work that they do. Their work is a reference for many others and they create benchmarks that others follow. One such person is Prof. Cathy Enz, Professor of strategy and currently the Associate Dean for Academic Affairs, responsible for the review and development of all faculty. 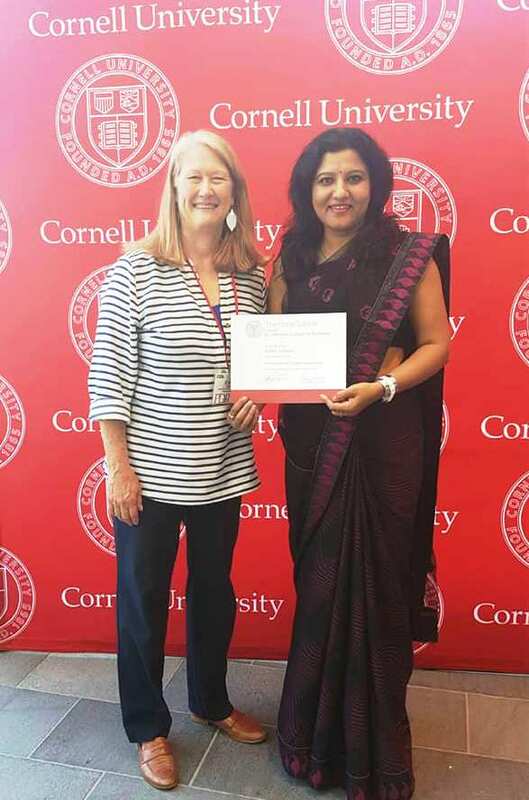 She oversees the Office of Student Services as well at the prestigious Cornell University, Ithaca, USA. I was privileged to meet her last summer, not only that but also attended a Professional Development Program delivered by her. And God I was so impressed, she is a powerhouse – extremely knowledgeable, talented and her enthusiasm is unmatched. She connected with every participant and mind you the participants were over 38 professionals from more than 20 different countries. She shared many concrete real life examples through storytelling and made the class truly dynamic and interesting. 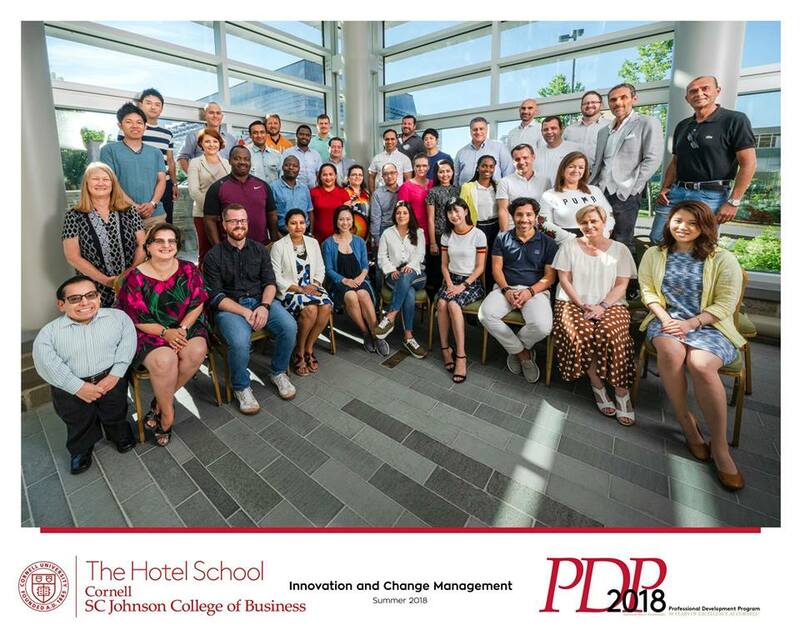 The PDP on Innovation and Change Management was one the best that I have attended in my career. In fact all courses I took were managed very professionally, I wouldn’t have known what I missed had I not gone to the Cornell; I’ll be forever grateful to my organization, The Park Hotels, India for giving me the opportunity. Once back to my base and to the job that I love, I wrote to Prof. Enz, she reverted in a warm email. I think it’s her persona to make everyone feel special; I felt that all through my time at Cornell. That’s also the way everyone there connected with her. Every delegate took a picture with her; probably making her a part of his or her professional journey or life per say. I wrote to her recently saying that I wished to share her inspirational story on Indian Women in Hospitality (IWH) of which I am the Founder. She was very prompt in her reply; she just made my day saying that she’d revert with details and here comes her story. Infact I was reading the PDP reviews on the Executive Education of Cornell University where my review features at the top, what drew my attention was a review that was just one sentence and it was, ‘Cathy Enz really number one!! !’ That speaks volumes about the dynamic lady. IWH features stories of Indian women who have contributed to the growth of the industry in India or around the globe and have made worthy contributions. Prof. Enz to me is a global hospitality leader and educationist who has inspired many professionals from around the world and mentored hundreds of them. It is an honour to feature her on this platform. Prof. Enz currently serves as the associate dean for academic affairs in the School of Hotel Administration at Cornell University. 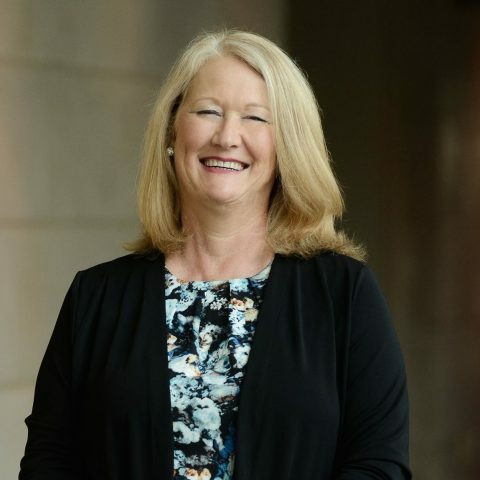 Her prior administrative roles included serving as associate dean for industry research and affairs, executive director of the Center for Hospitality Research, and school management area coordinator. Prior to her academic activities, Prof. Enz held several industry positions, including strategy development analyst in the office of corporate research for a large financial services organization and operations manager responsible for Midwestern United States customer service and logistics in the dietary food service division of a large U.S. health care corporation. Prof. Cathy Enz received her Ph. D from the Fisher College of Business at Ohio State University and taught on the faculty of the Kelley School of Business at Indiana University prior to her embarking on her professional journey at Cornell in 1990. Prof. Cathy Enz was born and raised in the Western United States in Arizona. Her parents were an interesting mix of early Americans – her mother’s ancestors came to America from England in the 1600s and fought in the American Revolution. Her father’s family arrived in America from Switzerland in the early 20th century. Prof. Enz grew up in a musical family, her mother was a professionally trained vocalist and pianist (and school teacher) and her father was an engineer. For her it was the perfect blend of science and art in harmony. Her focus at University was on business, and her Ph.D. dissertation was about the impact of value sharing on power dynamics within organizations. She began her career working for local government with city planners, working on land use and serving as the clerk for several commercial development and planning groups. Prof. Enz then worked for the Dietary Products division of a large pharmaceutical company after college, as a manager of customer service and product delivery to hospitals as their primary clients. This she says was mostly a logistics challenge getting special needs food products to a large network of hospitals. Later while getting her Ph.D she worked for the Office of Corporate Research for a large financial services company, doing dedicated research for various subsidiaries. She has been a professor at two large public universities, and for the last 28 years she has been a professor at Cornell. Prof. Enz has consulted extensively to the hospitality industry – helping firms to manage change and introduce new strategies to enhance performance. 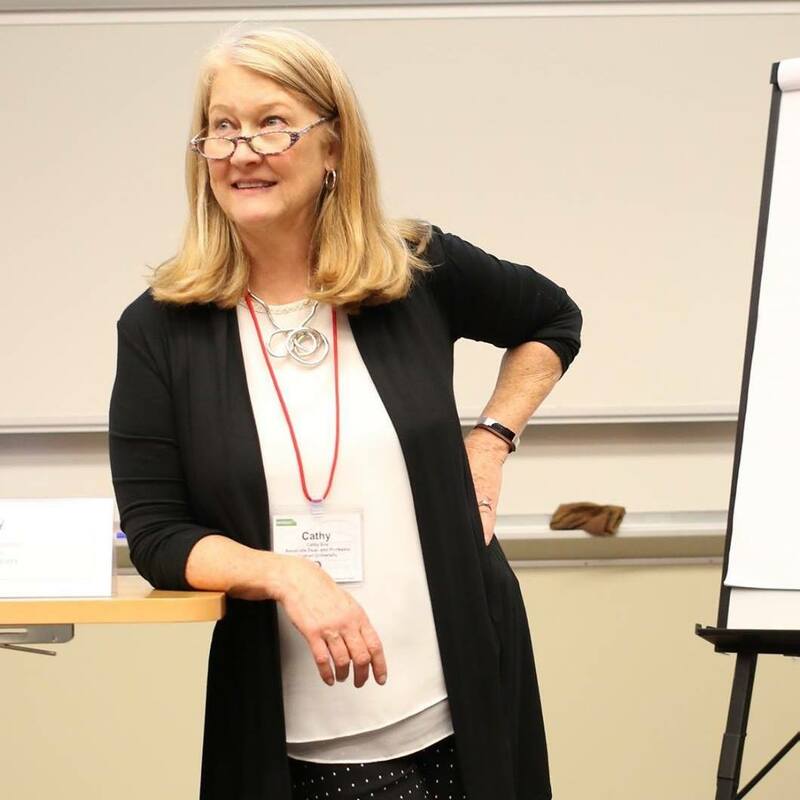 Prof. Cathy Enz successfully built initiatives when she served as the Executive Director of the Center for Hospitality Research (2000-2003); Her research on pricing and hotel performance was conducted in multiple countries and also in the golf industry. She also developed online courses and a change simulation to help students worldwide. Outstanding Teacher of the Year Awards from the students on numerous occasions. Awards for Hospitality Industry Research Relevance – for work on pricing. Outstanding author contributions / Best paper and academic paper awards from journals and academic conferences. The Michael Olsen Research Award – for her contributions to Hospitality Research. One notable award was for Best Practitioner Paper that was written with her daughter Elizabeth James, who works in the industry. This paper was presented at the Revenue Management & Pricing in Services Conference. The mother daughter duo later published the paper, it was her daughter’s first published paper. She has published over one hundred journal articles and book chapters, as well as five books in the area of strategic management and innovation. Her research has been published in a wide variety of prestigious academic and hospitality journals, such as Administrative Science Quarterly, The Academy of Management Journal, and The Cornell Hospitality Quarterly. She teaches courses in innovation and strategic management and is the recipient of both outstanding teaching and research awards. She developed the Hospitality Change Simulation, a learning tool for the introduction of effective change which is available as an online education program of eCornell. Three strategic management courses are also available through eCornell. Prof. Enz also presents numerous executive programs around the world, consults extensively in North America, and serves on the Board of Directors of two privately owned hotel companies. I just couldn’t resist the lure of the big opportunity that was there in front of me to get the most out of this truly empowered and dynamic lady. I posed a few questions to her and she more than graciously answered them. Prof. Enz: We did a study of women in hospitality which speaks to a broader set of challenges that women face in the industry. We interviewed many successful women and found that some of the common challenges include: Not providing flexibility to accommodate mid-career needs including making adjustments for women during the period of their lives when they are having children and balancing work and family. Not having role models of senior women who can model leadership and management skills and help to advance women. Many of the challenges women face have existed for a long time and companies that think innovatively and help to accommodate and retain talented women are few, but benefit from the hard work and loyalty of these women. See Walsh, K., Fleming, C., and Enz, Cathy A. Enz, (2016) “Give and You Shall Receive: Investing In The Careers Of Women Professionals,” Career Development International, Vol. 21, Iss 2. Walsh, K., Fleming, S., and Enz, Cathy A. (2014) “Developing High-Level Leaders in Hospitality: Advice for Retaining Female Talent,” Center for Hospitality Research Report, Vol. 14, No. 5. Prof. Enz: I think it is wonderful! I support your efforts and believe that you are helping provide support, role models, and insights to other women. Prof. Enz: Think strategically about your career. Advocate for your own voice and opinions. Seek out advice from diverse individuals. Speak up when you need to and don’t expect others to rescue you. Learn from all of your bosses, good and bad, and when necessary change jobs, take risks, and believe in stretching. You can learn on the job, you do not need to be perfect before you jump in. What an enlightening conversation I had with Prof. Enz! IWH and I are grateful to her beyond words.